Rising International was established in 2003 with a registered capital of USD 25 million. For more than 15 years, Rising International has been recognized as a trusted partner and innovative aluminium producer and supplier at home and aboard, with a broad portfolio of quality aluminum products for the packaging, electronics, automotive and transport, building and construction, shipbuilding, automotive, energy, industrial, HVAC and Solar markets. Products cover primary aluminum in the form of ingots, value-added products such as rolled products, extrusions and foils. Rising International exports approximately 60% of its production to more than 30 countries and offers reliable and competitive solutions that meet the requirements of the most demanding global customers. Rising International is committed to strengthening the viability of its customers and communities, shaping a sustainable future through innovative aluminium solutions. Rising International enjoys a leadership position in aluminium and downstream value-added products in China. Rising International will continue to be down-to-earth, actively explore and continue to promote the company's strategy of diversification and professionalism. 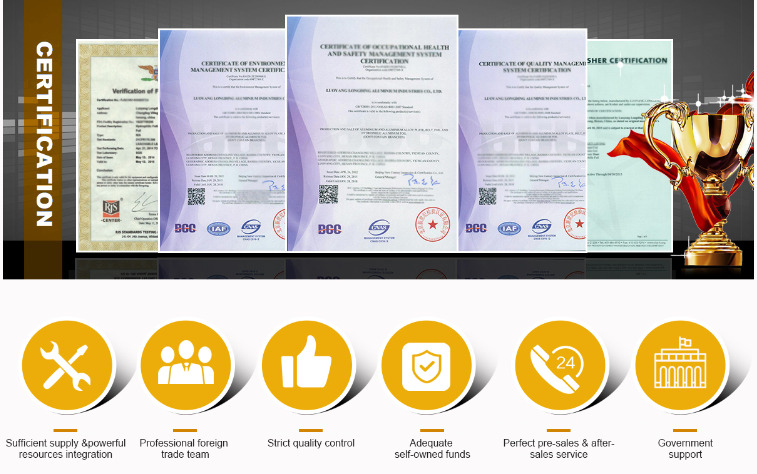 Company Name: Shanghai Rising International Trade Co., Ltd.